On 3 January 2013, the Indian Prime Minister Manmohan Singh announced India’s new science, technology and innovation policy. The policy sets out an ambitious plan to double investment in science over the next five years and establish India among the top five nations in terms of output in scientific publications by the end of the decade. India currently invests some US$12 billion annually on science and technology – about one-third of this coming from industry – or a total of about 1% of the gross domestic product (GDP). The goal is to raise the figure to 2% of GDP by 2017. The policy identifies agriculture, telecommunications, energy, water management, drug discovery, material science including nanotechnology, climate change and space technologies as critical areas of focus. A significant portion of funding will be allocated to the department of space, which is planning nearly missions to Mars in the next five years. New research institutes will be established in the areas of biotechnology, Earth and atmospheric sciences and life sciences. About US$250 million allocated to the Neutrino Observatory for particle physics in India’s Southern Tamil Nadu state. The government aims to increase research and development contributions by the corporate sector by promoting public-private partnerships. Up to 15% of the funding under the new policy will be earmarked for developing these partnerships. The government will seek to increase the number of full-time research and development personnel by two-thirds, from 154,000 to 250,000, within five years, and the number of PhDs produced in India from 8,900 to 12,500 a year. According to recent government assessment, India requires around 300,000 more academics. Growing publications output to around 5% of publications globally by 2017, compared to around 3.5% currently, pushing India from ninth in the world in terms of scientific publications to around fifth. In 2010, India’s global research output was 3.5%. The United States spends 2.7% of its GDP on research. China has set a target of 1.5%. Only 4% of India’s total R&D funding goes to universities, compared to 10% in China and 17%in the US. 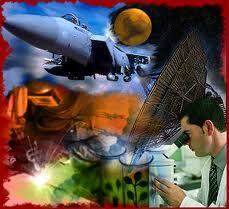 India’s challenge is the human resources needed to boost the country’s science and technology research. India’s 154,827 fully trained R&D professionals are almost a tenth of the number the the US and China (1.42 million) boast of, and are fewer than countries like Russia (451,213) and Korea (221,928).